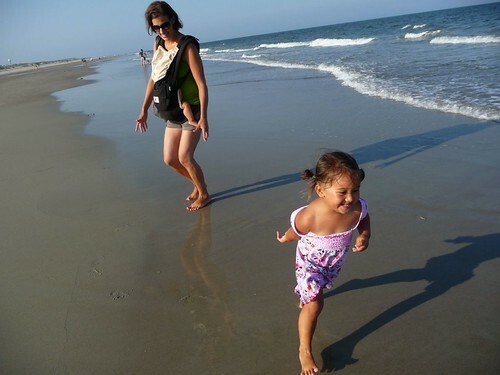 Mali Mish – Day 82: Tybee Island, Georgia. 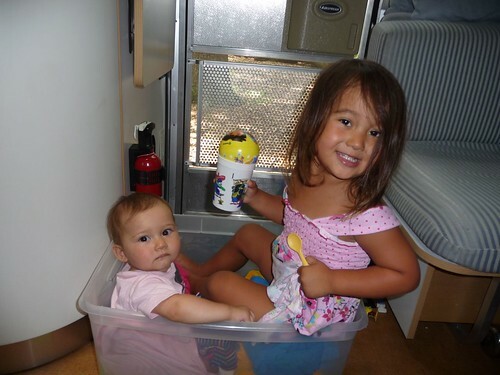 Ava and Mila got on the island groove this morning and decided to make a little boat out of our laundry bin. While they are in the mood, we decided to do some island hopping, Georgia style. 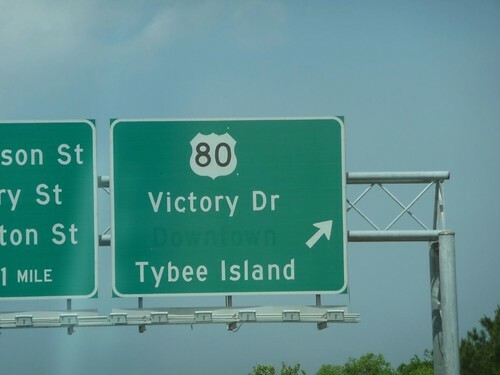 Tybee Island is the destination for today. 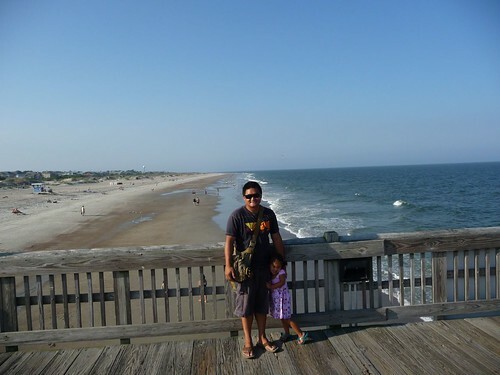 Tybee Island is just to the east of Savannah and is where the river meets the Atlantic ocean. Our first stop was The Crab Shack. The Crab Shack is a restaurant and bar that sits right at the edge of the water. 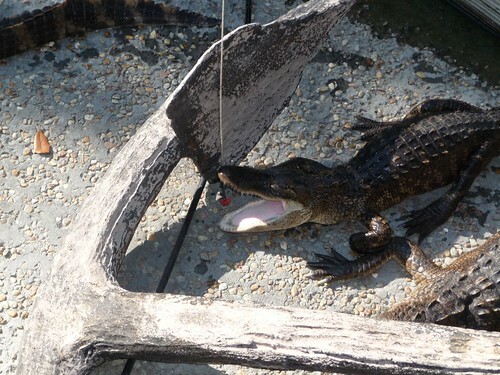 Aside from delicious seafood and waterfront views, it also has an alligator pond with lots of live alligators. These cold blooded suckers where everywhere. 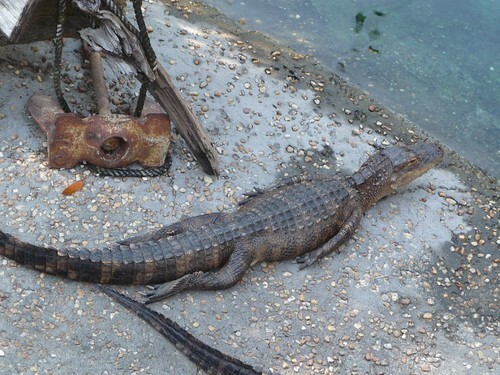 For the most part, they were pretty docile and probably due to them being fairly well fed. 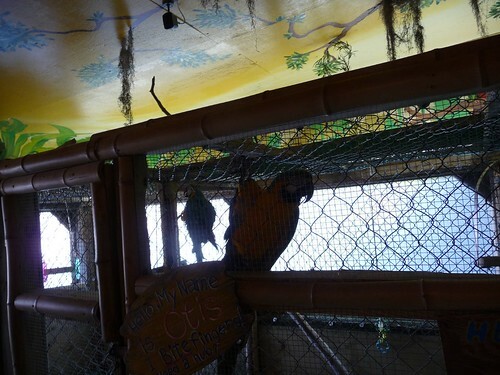 Aside from the alligators, exotic birds are also on display at what they called the gift shack where you can get yourself all the crab shack souvenir swag you can afford. 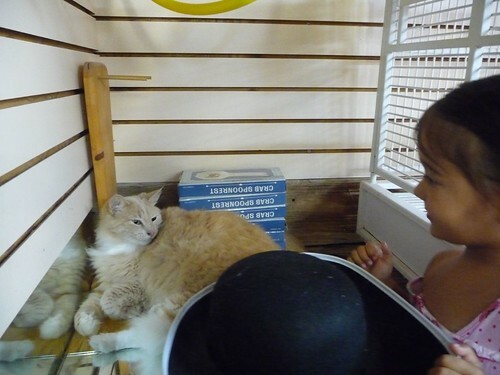 Ava’s favorite however were the household cats that roam freely throughout the restaurant. I am not sure why and how they got there but they are certainly made to feel right at home with their own private quarters. The food. Forget about it. It was awesome. We got the sampler platter for two and it came with so much food we couldn’t even eat it all. 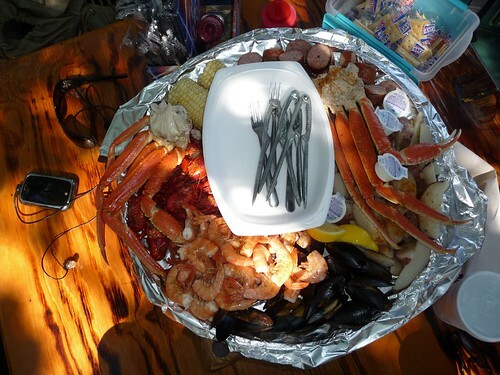 Crab legs, shrimp, mussels, crawfish, corn on a cob, sausages and potatoes. Visit http://dcwcasing.com/product/hog-casings/ to learn why the sausages are so tasty. If you ever find yourself near Tybee Island, don’t look anywhere else for food but The Crab Shack. 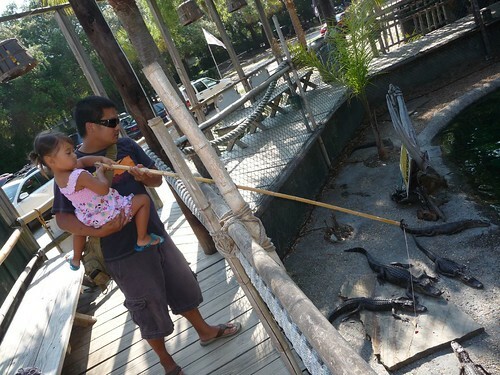 Although the food was not too outrageously priced, they do get you if you want to try your hand on feeding the gators. Little nuggets of dog treats in a plastic will run you three bucks. 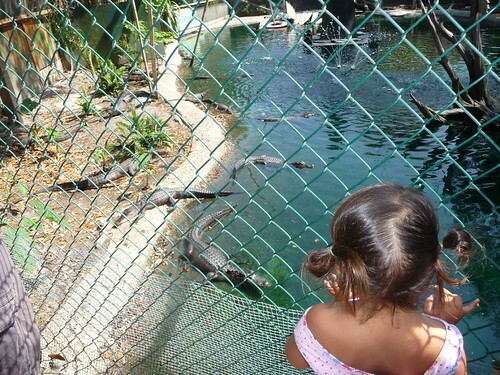 And you are not allowed to feed these lizards anything else. 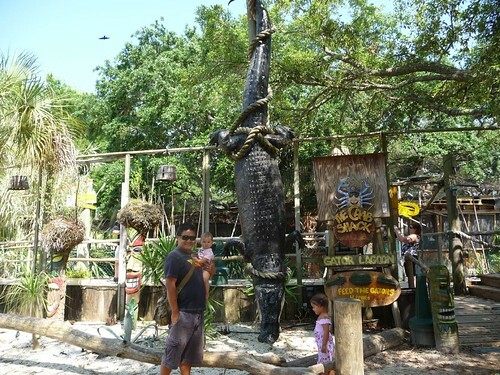 We just had to do it so we paid the ransom so we can do some gator fishing. Didn’t I tell you these guys where docile? This guy decided to not even bother putting his arms in front of him. 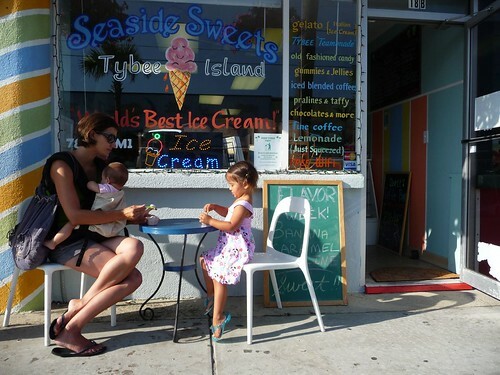 Tybee Island is a small little community with a quiet beach side street lined with gift shops and little food places like this ice cream parlor. Since they claimed to the the World’s Best Ice Cream right on their window, we had to give it a try. It was good but I think they must have bribed whoever is in charge of the best-ice-cream-in-the-world committee. We knew that we will soon be headed west to start making our way back home so today might be the last day we will spend on an Atlantic beach. 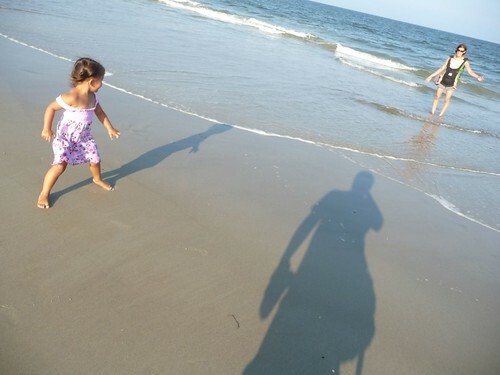 Even though we didn’t have much time at the Tybee Island beach, we made the best of it. Ava has loved our days at the beach starting with our first day at Padre Island National Seashore outside of Corpus Christi, Texas. A little darker and a much better swimmer later, she is sad to leave the beach and warm Atlantic waters at Tybee Island. We will be back soon Ava, I promise.